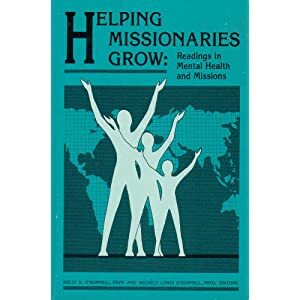 A practical handbook for understanding and dealing with the challenges of missionary life. This classic book includes 50 articles from 1974--1988. It is available online for the first time as of August 2010. 1. Written PDF, organized into seven files, based on the Table of Contents below. **To access the entire book as one pdf: click here. **The chapters are located on an external site. (Note: Most of the chapters are on two or more files. 2. Should I Be a Missionary? 9. How Spiritual Are Missionaries? 37. Missionary Relationships: Powderkeg or Powerhouse? 45. Women's Roles in Mission; Where Are We Now? 46. Wives: Homemakers or Mission Employees?